If you come to Maui, odds are someone (a friend, the shuttle driver, hotel employees, or even a random stranger on the street) will tell you to go to the Gazebo for breakfast. 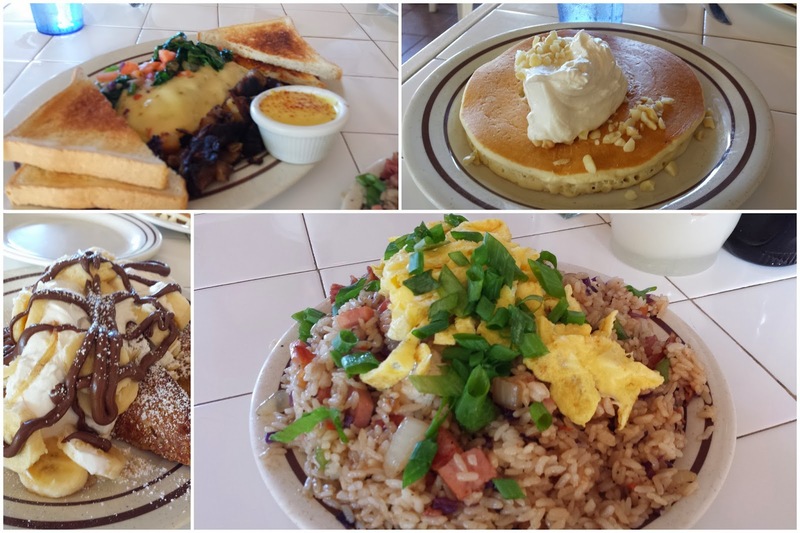 When I told a friend at work that I found a place in Napili, his first response was "Oh, you live close to the Gazebo, their breakfast is great, call ahead and order to go and then eat it on the beach." The Gazebo has the same breakfast cache that Snooze has in Denver. The breakfast is legit and you are almost guaranteed to wait for a table. And it's a gazebo - so not that big. Even though we knew better, we decided to eat in and waited for a table. We waited with a view of the ocean, so we have no room for complaint. Did I mention there is coffee while you wait? It's all good. Front and center in this picture is a dish that was recommended by multiple people. And this was a HALF portion. A half portion that I'm still eating because there was so much. Can't say that I've had fried rice for breakfast, but throw bacon, ham and Portuguese sausage in it and it is a hearty entree. Rice is very popular here in Hawaii for any and all meals. My other guilty pleasure was the special - Banana Nutella French Toast. I'm not sure what's in the whipped cream that they put on the pancakes and french toast - heaven in a fluffy format. YUM. The Gazebo is located at Napili Shores on the west side of Maui. Bottom line? 1. Get yourself to Maui. 2. Go out to breakfast. 3. Enjoy the rest of your day.